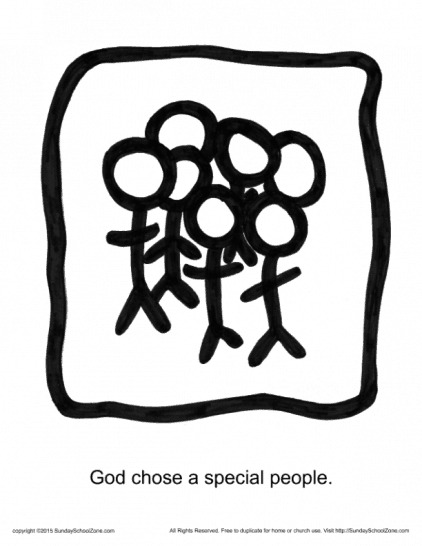 Although the Bible tells a major part of God's story, the biblical story actually continues to unfold even today. 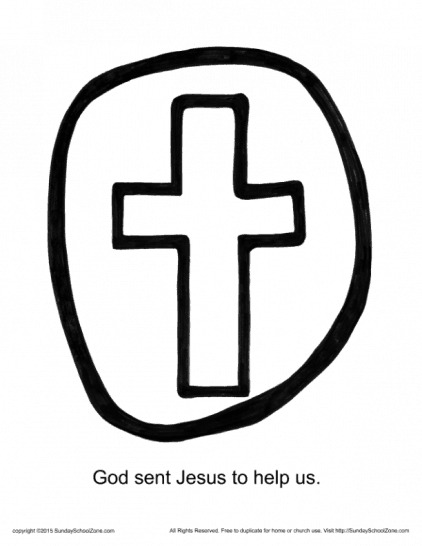 God is still God and He is still working in our world and in people's lives today. 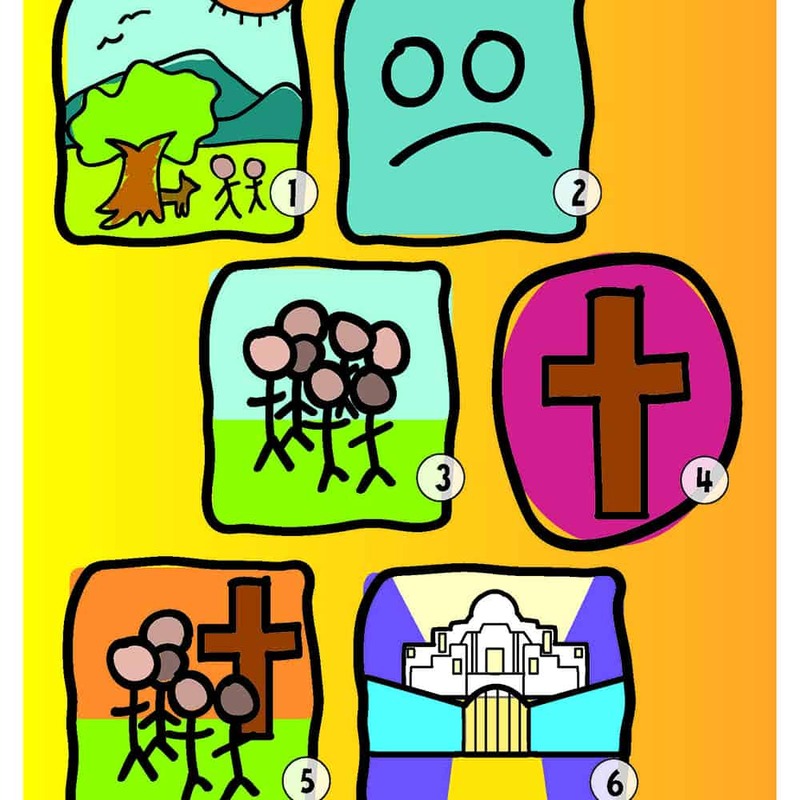 The free Bible activities and resources below (including God's Unfolding Story for Older Preschoolers curriculum) can be used to help children learn the six elements of the biblical story. 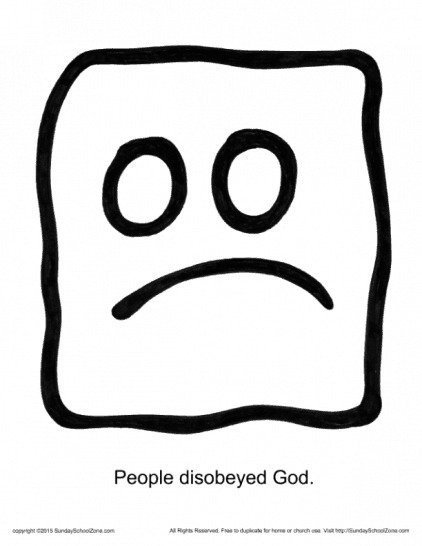 In Deuteronomy 4:9, God commands us to teach His story to successive generations. 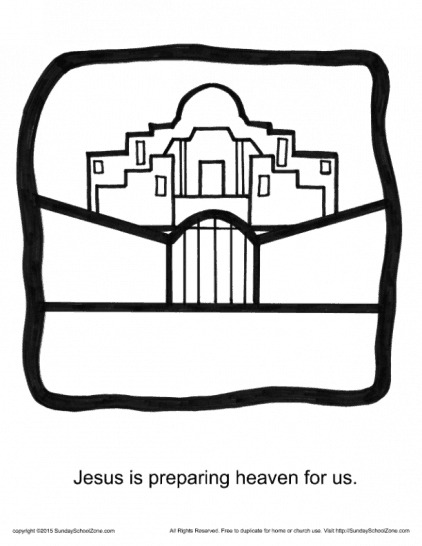 These activities and resources can help you do just that! 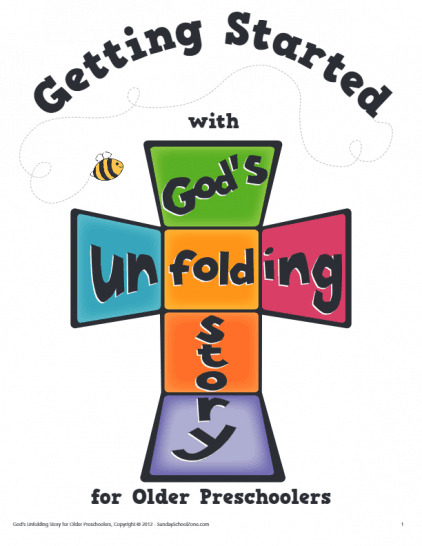 The backbone of any Bible curriculum resource is its study plan or what is often called its “scope and sequence.” God’s Unfolding Story for Older Preschoolers’ study plan can be downloaded here. 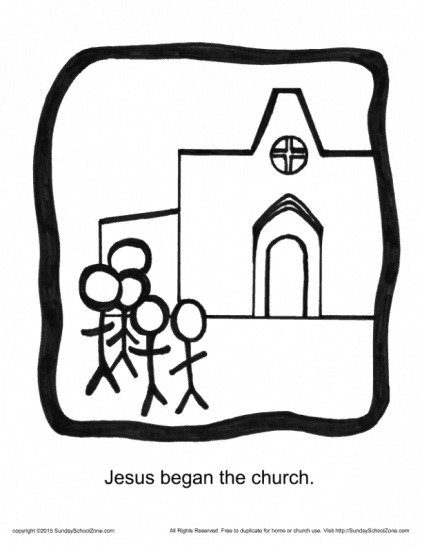 This 16-page, downloadable booklet contains sections on how to use the curriculum, the Suggested Study Sequence, a Supplies and Equipment List, and an article on understanding older preschoolers. 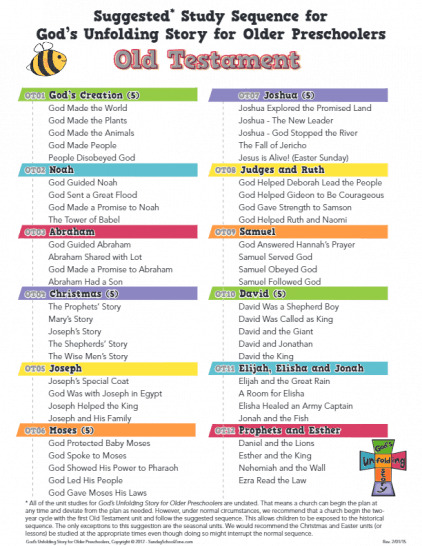 Each story element in the biblical story has a corresponding visual icon to help children learn each element in the story. 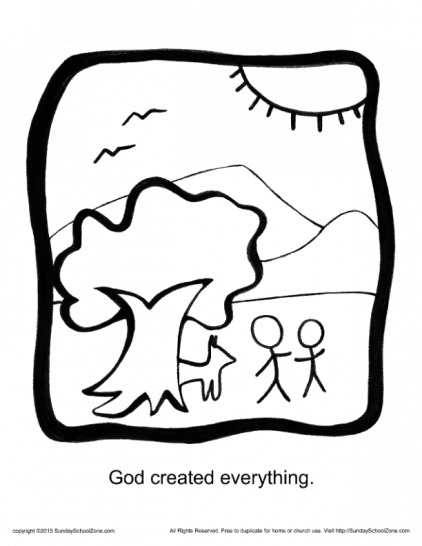 This coloring page uses the icon for “God created everything.” Use the coloring page to talk about this part of the story. 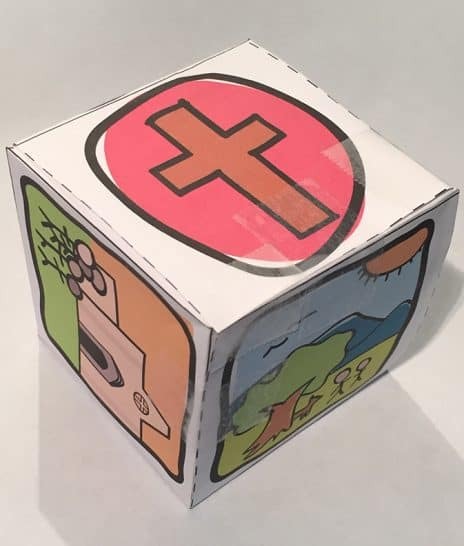 The God’s Unfolding Story Cube can be used to help children of almost any age learn the biblical story using the God’s Unfolding Story Preschool Story Elements. Each page can be assembled to create a 2 and 1/4 inch cube with the six elements.